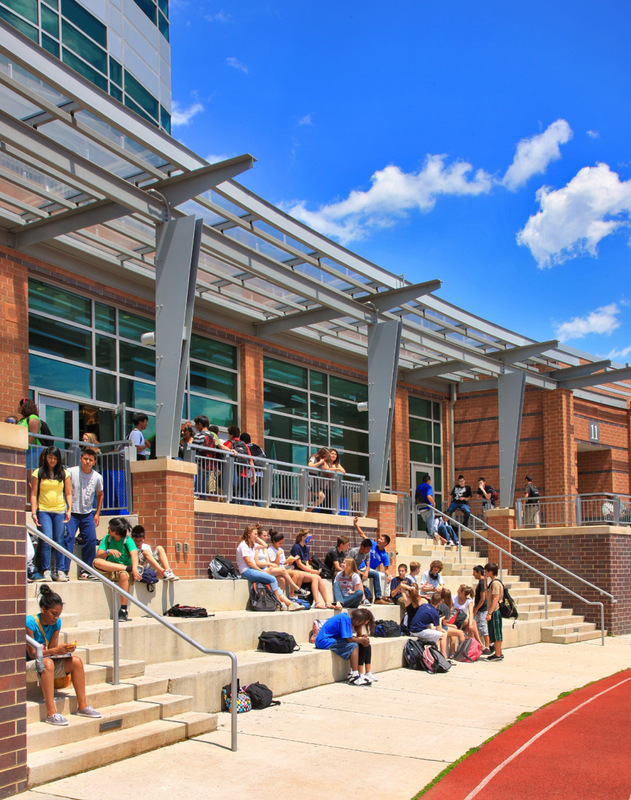 Collegiate design on a high school campus. 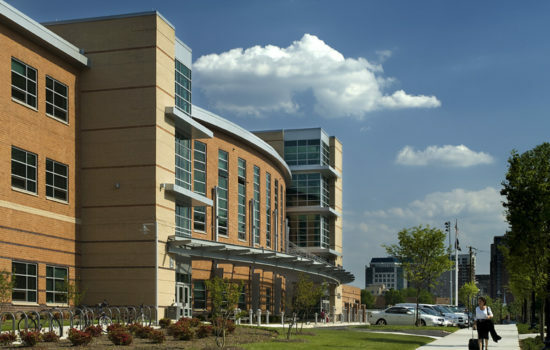 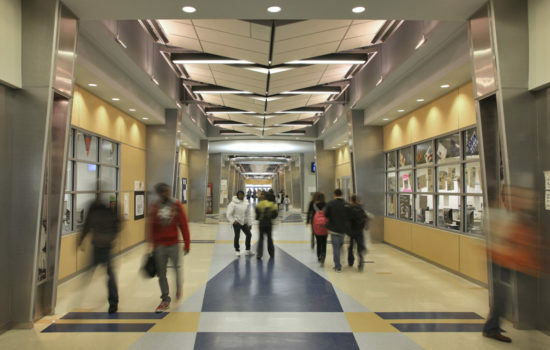 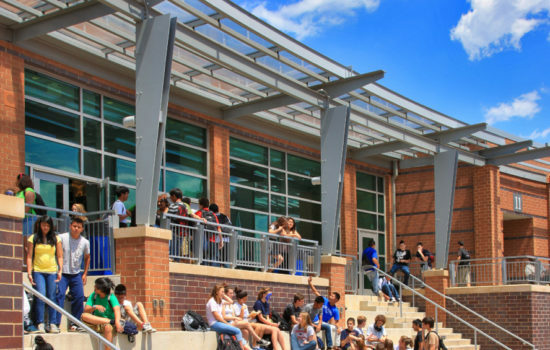 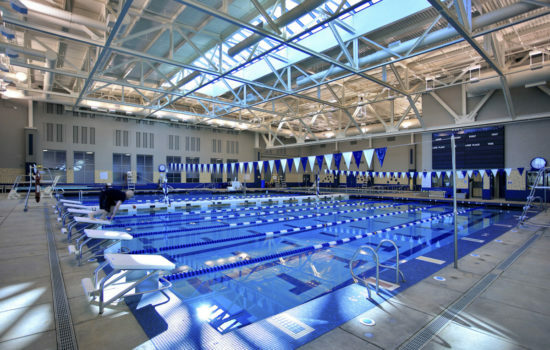 Ranked among the top 100 in academics in the nation, Washington-Lee High School required a 21st Century design that respects Arlington’s rich history, Art Deco tradition, civic role, and high standards for student accomplishment. 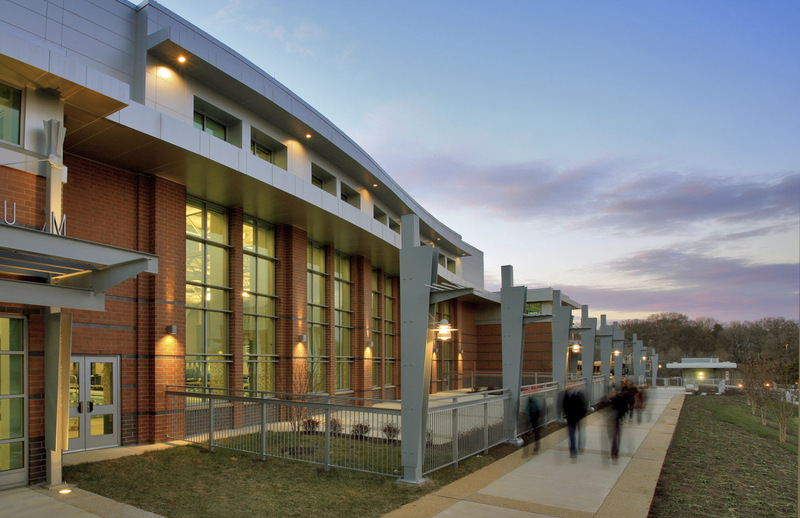 G+P’s design reflects the importance of this building to the County in the new century. 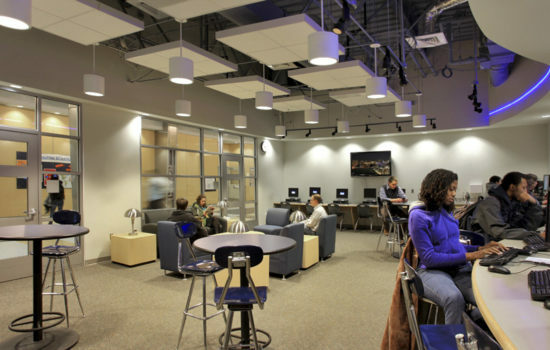 Simulating the college experience, the new facility departs from the “one teacher per classroom” model, opting for a college-like arrangement where classes held in unassigned classrooms, and where students and teachers do not have assigned “homerooms.” Teachers are provided personal and work space in collaborative Teacher Planning Centers on each floor, which feature private planning carrels, conference rooms, informal seating, and expansive views. 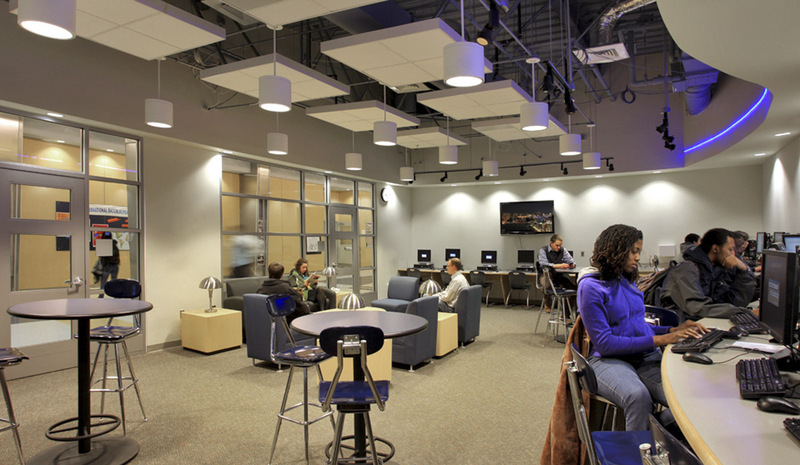 Spaces for informal gathering and discussion generate the free-flow of academic and social energy. 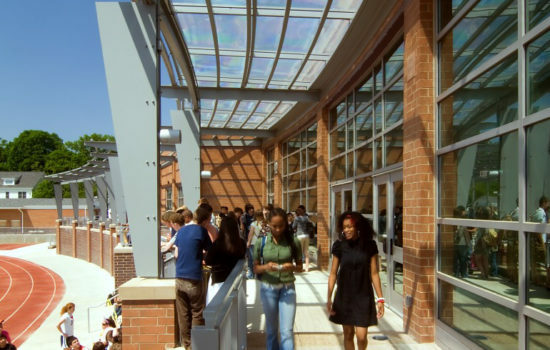 These spaces include a large Library balcony, a plaza/amphitheater outside the Dining Room, the Courtyard, and a Cyber Cafe, and the entire school is outfitted for wireless internet to make all spaces active learning zones. 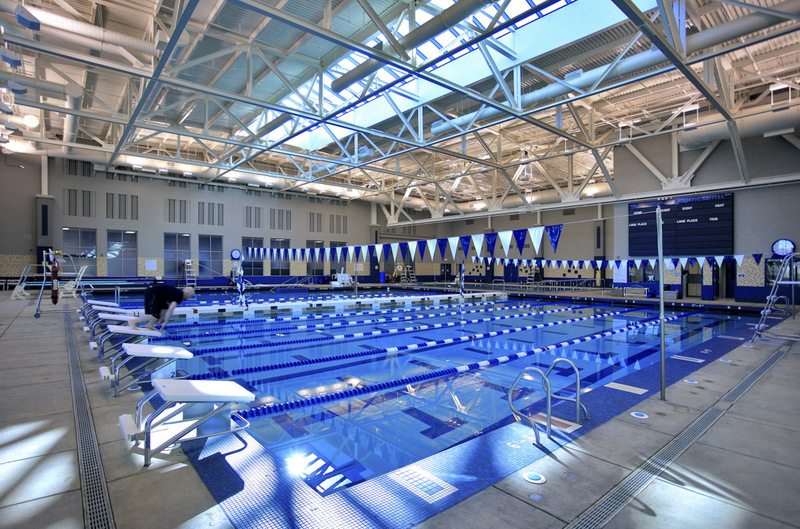 Extensive stakeholder engagement, which required more than 40 public meetings, allowed all to voice their hopes, dreams, and opinions for the new facility. 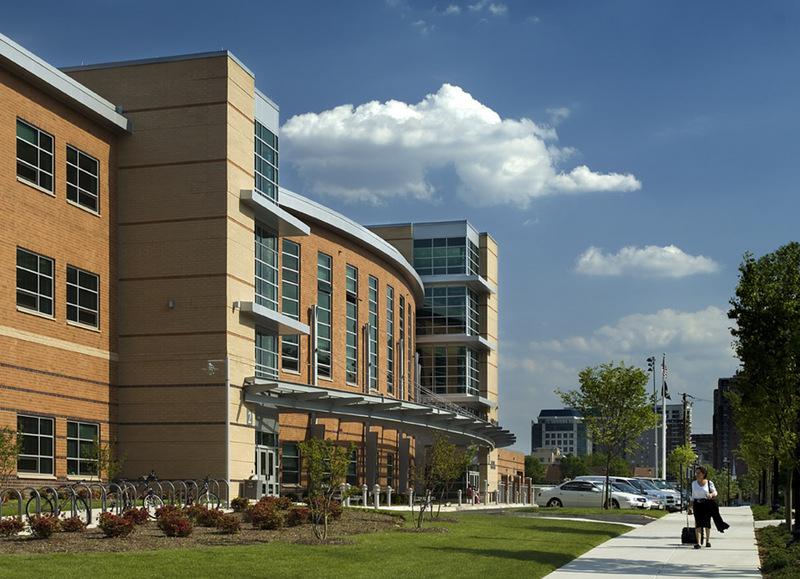 On a site that previously divided the surrounding neighborhood in half, the new campus knits together the community with public pedestrian and bike paths. 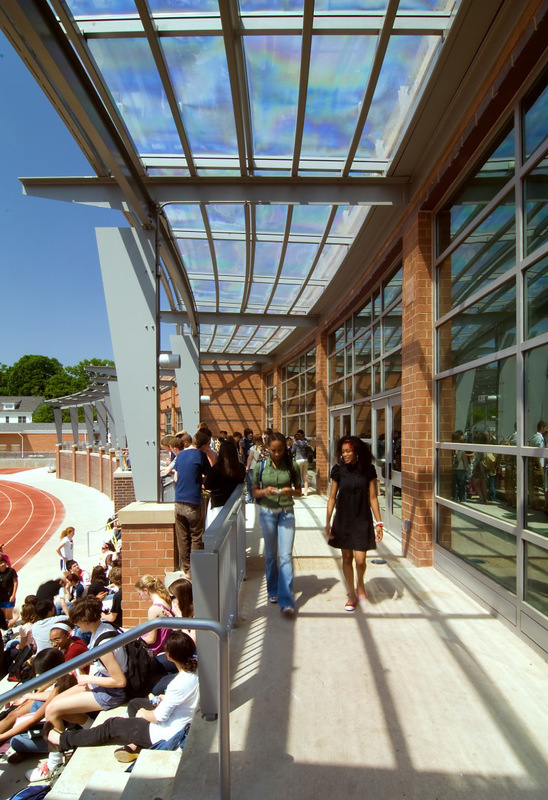 The school’s compact footprint maximizes the green space for student and community use.